You may recognize these adorable wide leg jeans from my trip to Dallas last week. I wore them with a simple striped bodysuit and it was one of my favorite looks, and not to mention the most comfortable! In the hustle of returning from vacation and packing for the conference a few of my packages got lost in the mail but I was thoroughly relieved when my Express order arrived with these pants – I knew I was saved and could easily dress them up or down (praise hands)! I literally threw them in my suitcase immediately and tossed in a few tops I knew would work. A tank top, a tee and the bodysuit I ended up wearing. What’s great is that each top I had looked just as cute and they were ALL from Express! I love it when that happens! I decided to style it here with the crop tee to show how you can wear it differently and get so many looks. 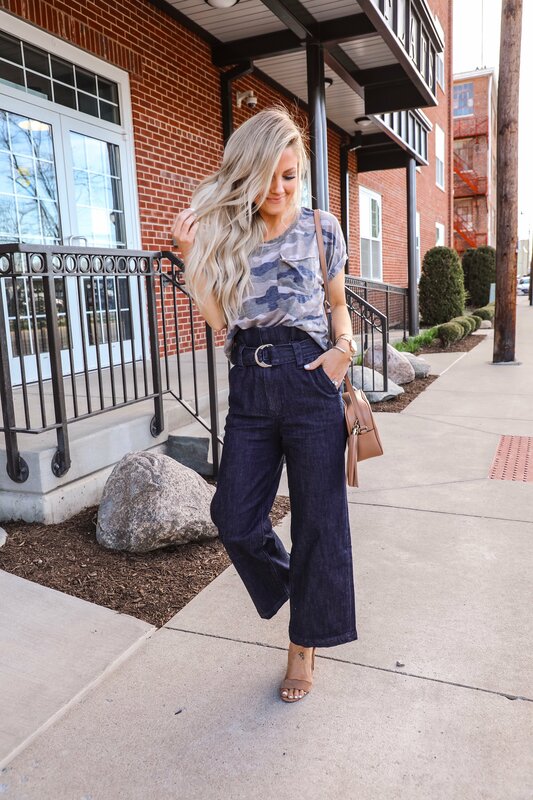 You don’t always have to go for the full tuck – a cropped tee is perfect to front tuck with high waisted pants. 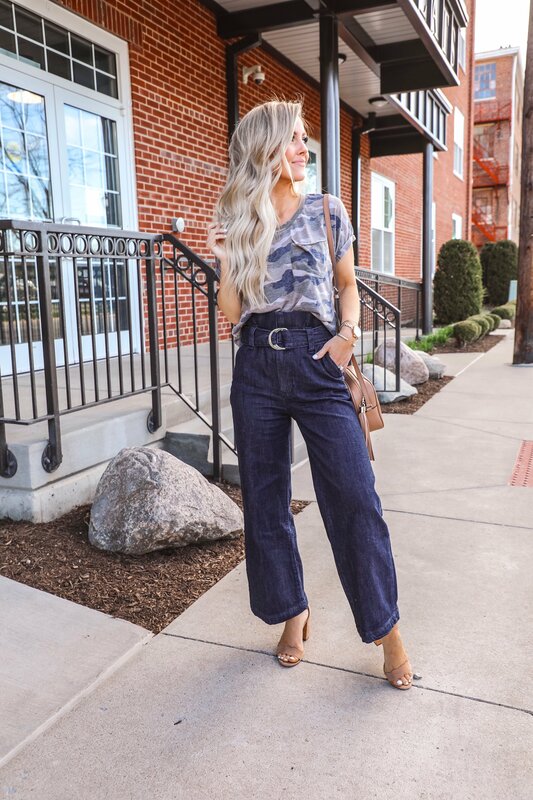 I am absolutely LOVING this trend with pants lately. 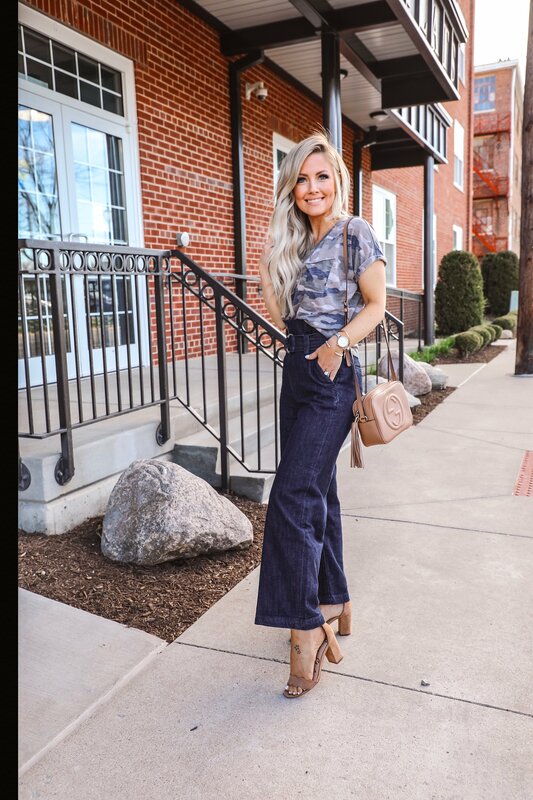 I’ve always been a fan of high waist pants (the most figure flattering cut ever in my opinion) and love that it’s now being paired with the sash waist and crop denim. 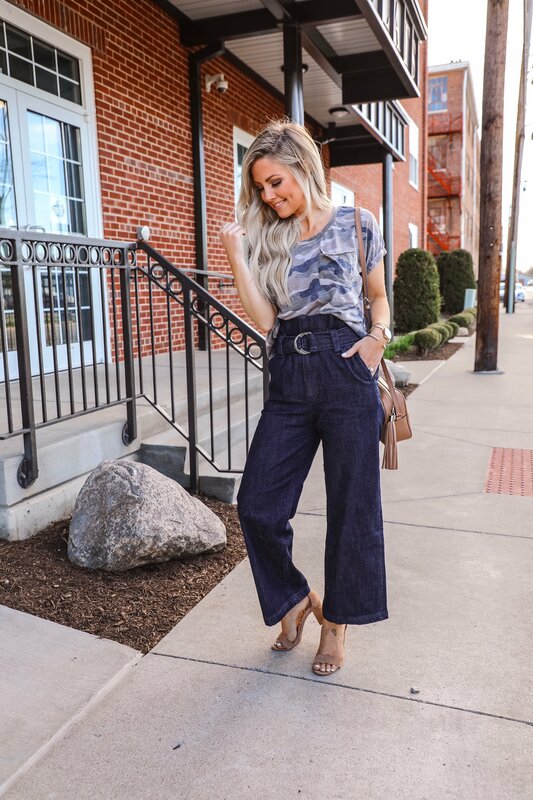 Express is my go-to for allll the wide leg pants! They have every style, cut and material you could possible want. I’ve linked all of my faves (including office appropriate options) along with all the tops I would pair with them. You could easily mix and match any of these tops and bottoms to create a ton of looks! You can use Ring Code 8150 for $25 OFF your $100 purchase In Store and Online! Thanks to Express for sponsoring this post!